You may have spent your whole life with a huge passion for hiking. However, for many parents, they believe those days of exploring the wilderness are over once they start a family. But that couldn’t be further from the truth. In fact, it’s never been easier to take your whole family out into the great outdoors in a safe and child-friendly way. 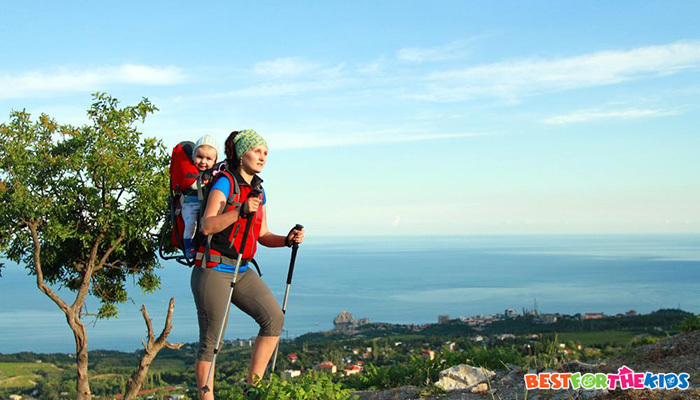 With the arrival of baby carriers that are specially designed for hiking, you can be sure that both you and your baby are comfortable throughout your entire hike. To give you everything you need to know, here are my top picks for baby hiking carriers. I’ve chosen these carriers from the best of the best. This helps to narrow down your search so you know that you’re buying a top quality, safe product that will last for years to come. When looking for a carrier, one of your main concerns will be the weight. After all, you don’t want a carrier that’s going to weigh you down. With that in mind, this awesome carrier only weighs a sleek 4.4 pounds. However, it supports babies up to 40 pounds, giving you more than enough leeway to play with. Inside this carrier, you’ll find a sturdy, supportive, yet highly padded aluminum frame. This is ideal for freestanding the bag when you’re taking a break or in need of a hiking accessory, such as your drink. The entire carrier can be folded up when it’s not in use, allowing for space efficient storage in your home or in the car. When hiking, especially with your baby, you want to make sure you’re as comfortable as possible. What I love about this carrier is the ‘active-ergo fit harness system.’ Don’t worry; this isn’t as complicated as it sounds. This is a highly adjustable strap system that has padded shoulders and padded hip belts, designed to give you maximum levels of comfort. What's Great About It: Regarding the quality and durability of this bag, it’s suitable for babies as they grow as well as all adult sizes. The carrier itself is hard-wearing, waterproof and completely safe for machine washing. As you can see, this is a fully-featured hiking baby carrier that has thought of everything you could possibly need. This extremely sturdy yet lightweight carrier was ideal for a trip my family took recently to the mountains. Although the trek was hard, I’m so thankful that the carrier only weighed just over 5 pounds. All of the straps, both shoulder and hips, are padded for the comfortable experience when hiking and there’s also additional padded lumbar support. This padding is breathable and designed to keep you cool while trekking. The carrier itself is designed for children aged between 6 months and 4 years old, making it ideal for taking your children on hikes while allowing them to get used to walking distances on their own. There’s also a ton of storage space on this carrier, including a large rear pocket, specially designed for diapers, a change of clothes and more. To make sure you’re always hydrated, there’s even room for two water bottles!. What's Great About It: While hiking, you can never guarantee what the weather’s going to be like. Nobody likes dealing with an unhappy, wet baby. And that’s not even considering the health consequences. Fortunately, this carrier comes with a retractable waterproof canopy. This stops the wind and rain from getting to your baby, and they can still enjoy the view around them. Weighing in at just under 6 pounds, this carrier is a lightweight essential for any family planning their next hike. Capable of supporting children up to 40 pounds in weight, there are a ton of features here for you to enjoy. As a hiker, you want to make sure that there’s enough room for everything you need on your trip. I loved the fact that the Kiddy Adventure Pack had more than enough space for everything I needed. There are three zipper pockets conveniently located on the back of the pack as well as an additional lower compartment. There’s extra storage on the waist belt and a water bottle holder. This means you can keep everything organized during your trip while making sure you have a happy baby on your back. In terms of comfort, it was a godsend that this bag has breathable materials. During my hike, it got so hot, but I was surprised that my back didn’t start to get sticky. This was all thanks to the fact that this carrier is made using thermotex fabric. This means that all areas of the carrier have consistent air circulation, no matter what terrain or weather you’re experiencing. There’s plenty of padding found in all the straps and contact points that make sure that both you and your baby are comfortable at all times. What's Great About It: I love that the fact that this carrier comes with a kick-down stand. This means that you can safely set the bag down when you’ve stopped while keeping your baby upright and secure. When you’re done, simply put the carrier on, push in the stand, and you’re ready to go again. This is easily one of my favorite child carriers, and it’s been with me on so many trips and journeys that I’ve lost count. This is the next model up from the original carrier, and has so many more features, while being so much easier to use. There’s also an incredibly easy to adjust suspension system throughout the entire carrier. This means you can quickly adjust the carrier for the most comfortable fit, making it easy to quickly switch the carrier between mom and dad. For your baby, there’s some conveniently positioned leg straps and a superior 5-point harness system to make sure that they is nice and secure while in the carrier. That means there’s minimal chance of them wiggling out during your hike. The baby seat is comfortably padded, and there’s an adjustable back panel for the best level of comfort and support. There’s even a sun hood for when you find yourself hiking on hot days. My favorite feature of this carrier is the kickstand. Unlike other traditional kickstands, this patented stand features Auto-Deploy technology with ‘no-pinch’ hinges. This gives the bag the highest level of support while loading and unloading your baby. What's Great About It: Every aspect of this baby carrier just screams functionality. The entire carrier is completely safe for machine washing, even the included chin pad. On top of all of this, there’s a ton of storage space under the seat and at the front of the carrier for easy access. For the longer hikes, there’s also a water bottle compartment. Made from Super Polytex and Microrip-Nylon, this is one baby carrier that is built to withstand the elements for many years to come. I adore this carrier as it’s super comfortable and supportive, and has plenty of features that have made hiking with my little one an absolute pleasure. With baby’s safety in mind, there’s a secure 5-point harness system that’s easily adjustable, allowing you to make sure that you can find the perfect fit. There’s also an included teddy bear for your baby to enjoy. Using Deuter’s exclusive AirComfort technology, both me and my baby were completely comfortable at all times, and the temperature of the carrier is thoroughly maintained. This is all thanks to the ultra-lightweight mesh panel at the back which helps to regulate airflow during your hikes, no matter how hot the day is. Instead of putting your baby into the carrier from the top, you simply put them in from the side. This makes things so much easier as you can see what you’re doing, making sure there’s minimal fuss as you’re shuffling things about. What I really loved about this carrier is the adjustability of the entire back area. In addition to being able to adjust the straps for maximum comfort, you can adjust the actual size of the carrier, so it’s the exact length of your back. This carrier is so much more comfortable than a traditional carrier that overhangs your back, giving you more freedom to move while you hike. This is due to the patented VariFit system that gives you full control over how your carrier works for you. What's Great About It: The entire bag is machine washable as is the soft chin-pad that’s easily removable. The entire carrier is mounted into a supportive aluminum frame and, as you would expect, includes a sturdy kickstand. Before we got ourselves a ‘proper’ hiking baby carrier, we always used the Boba 4G Carrier. This is because it’s so lightweight and airy, and makes for the perfect hiking companion. We used this carrier by my husband taking the baby in the carrier while I took the other bag with all our accessories, or the other way around. This helped to divide up the weight while making things easy for everyone. 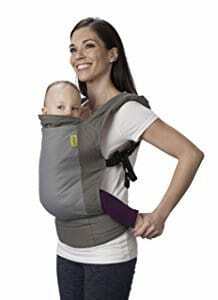 Made from 100% cotton, this carrier is extremely comfortable and supportive thanks to the built-in infant inserts. That means this carrier is capable of supporting babies from 7 to 25 pounds on the front, or 25 to 45 pounds on the back. It’s incredibly easy to load and unload your baby, and thanks to the multiple positions, it’s so easy to find the most comfortable setup for you. The carrier even comes with two feet holders to make sure your baby is completely comfortable, and there’s also an included sleeping hood. This is ideal for blocking out the sun’s harmful rays on the hottest days or for letting your baby enjoy a well-deserved nap. What's Great About It: In addition to all these great features, I also relish in the fact that this carrier is made to be completely free from harmful materials such as toxic plastics and dyes, putting your baby’s well-being and health first. 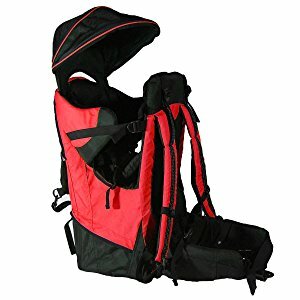 I love this baby carrier since it’s just a fantastic all-rounder that gives you everything you need from a baby carrier. The carrier itself is made from a highly durable aluminum frame that creates the overall structure. This frame is then padded with super comfortable fabrics that aren’t a burden to wear, and remain lightweight and easy to carry. What really makes this carrier excel is the amount of storage that it has. Every side, all throughout the interior and on the straps, has pockets for storage. This is ideal for carrying all of your baby’s essential accessories as well as leaving enough room for your wallet, keys, and smartphone. All of the straps are highly padded for maximum comfort and, as you would expect from Clevr, there is much-needed lumbar support that’s breathable and maintains a cool regular temperature. Suitable for children between the ages of six months and four years old, this carrier is perfect for getting your child outside to enjoy some of what the great outdoors has to offer. There’s even an essential retractable canopy that’s perfect for blocking out the rain, wind, and sun. What's Great About It: I personally adore the fact that the back of this carrier has a removable mini backpack. This means you can easily store everything you need on your trip in the carrier and when you need your supplies, simply remove and start wearing the backpack for even easier access to everything you need. 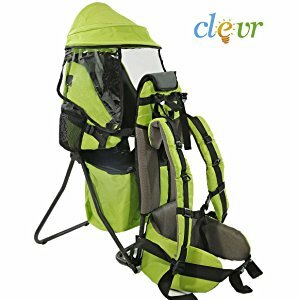 Made from comfortable nylon materials padded around a sturdy aluminum frame, this is one of the most outstanding hiking baby carriers that I’ve ever had the pleasure of using. With the sleek design, the superior storage capabilities, and the level of support you have, if you’re a family that loves hiking, this is a must-have. It is incredibly easy to load and unload your child into the carrier, and there’s a secure harness system to make sure that your child stays comfortably in place. The whole of the child’s interior section is also heavily padded. With your comfort in mind, there’s a fully adjustable double halo harness that matches your body shape for ultimate support while hiking. Each strap is highly ventilated to keep you cool while hiking, so that every hike is completely enjoyable. What's Great About It: To guarantee the well-being of your child, this carrier comes with a built-in sunshade canopy. This can be quickly setup and deployed when you need it most. All you have to do is unzip the pocket and pull it out. 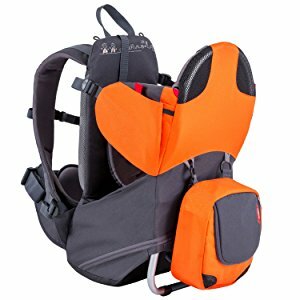 As you can see from my top picks, there are a lot of features that go into creating a hiking-friendly baby carrier. When I was first introduced to them, I found it very overwhelming. So that things will be easier for you, here’s my complete buying guide, detailing everything that you need to know. In short, there are two main types of baby carrier available. These are front loading and back loading. Typically, front loading carriers are designed to hold newborn babies up the age of six months. Then, you’ll move onto back loading. Most back loading carriers will support children up to 3 or 4 years old, at which point, your child will be walking by themselves... or will be enjoying piggy backs from dad. One of the most unique features that hiking carriers will have is a kickstand. This is so you can put your carrier down on the floor, with your baby still inside it and the carrier will still remain upright. This is ideal for taking a break or for getting something out of the bag, without having to worry about taking your baby out and putting them back in. It’s essential that your chosen baby carrier has waist straps. Unlike a traditional backpack, carrying a baby on your back is much heavier, and it can cause back strain and problems if you don’t go about this properly. Waist straps are designed to go over your hips, so they take the weight, rather than your spine. You’ll want to make sure that these waist straps are padded, for maximum comfort, and are adjustable so you can find the perfect fit. 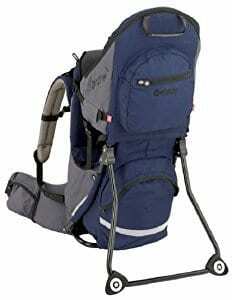 You’re also going to want shoulder straps that are padded, comfortable, and take the weight of the carrier properly. In addition to being comfortable, these straps will also need to be adjustable so that you can find the perfect fit that works for you. It’s important that you get the straps of your carrier right so you can evenly distribute your baby’s weight. 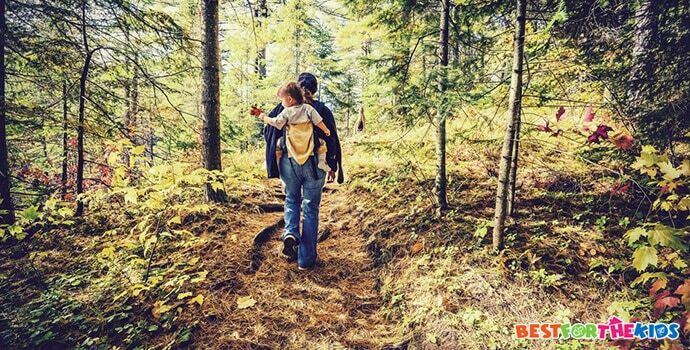 The chances are that your baby isn't going to sit perfectly still during your entire hike, so it’s important to adjust the straps so that the weight is pushing down evenly on each shoulder. Some baby carriers will come with their own harness system within the carrier. This is an essential feature if your baby is extra wiggly and loves to crawl about and try to escape. This is an essential part of any baby carrier that you must bear in mind. Firstly, you’ll want to list out all of the things that you’ll want to take with you on your hiking trip. You’re probably going to want things like food, drinks, diapers, cream, sunscreen, wipes and a change of clothes. But depending on where you’re going, you can mix up this list however you need to. With this list, you can then set about comparing different carriers to see which carrier has the right amount of storage for you. Another great feature to look out for is a removable backpack. These bags are usually mounted onto the back of your carrier, but can be detached at any time. This doesn’t mean the storage the carrier gives you, but more the storage of the bag itself. Carriers can be quite big items to take around with you, especially when you’re in the car or trying to keep things tidy at home. Another essential feature that you must check before purchasing your baby carrier is how much weight the carrier supports. 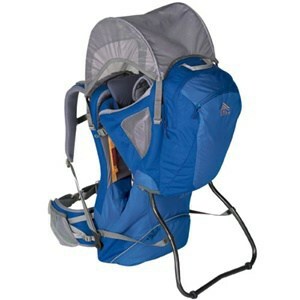 This will need to include both your baby’s weight and the weight of anything you store in the carrier while hiking. You’ll always want to buy a carrier with a little more weight than what your baby weighs, so they have room to grow into it. Hand-in-hand with the consideration above, always check the age recommendation that the manufacturer has added to the carrier. Certain aspects of the carrier will have been designed to support your baby’s body in a certain way. That’s why it’s always important to check the recommended age. Deciding which hiking baby carrier is for you may seem like a difficult and daunting task, but it doesn’t have to be this way. Follow my buying guide and my list of top picks, and you’ll be able to easily find the best one for you.